Know your limit. Play within it! The Ladysmith Resources Centre Association is the “Heart on the Hill” (Literally!). We share the site with our partners, the Seniors Centre Society and the Boys and Girls Club of Vancouver Island all thanks to the generous support from the Town of Ladysmith. 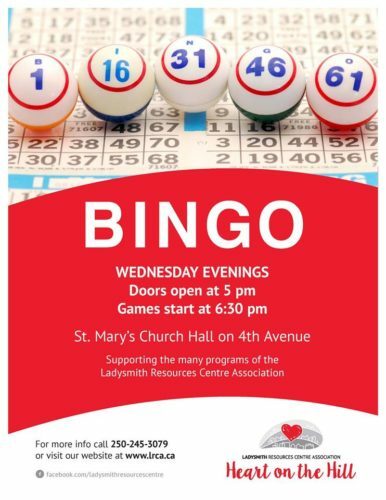 The Ladysmith Resources Centre Association works to enrich the lives of people living in the Ladysmith area through advocacy, programs and partnerships. P: 250-245-3079 / F: 250-245-3798 Monday to Friday, 9:00 a.m. to 4:00 p.m.
Would you like to be on our emailing list? This is a DOUBLE OPT-IN so you must confirm in the follow-up email.